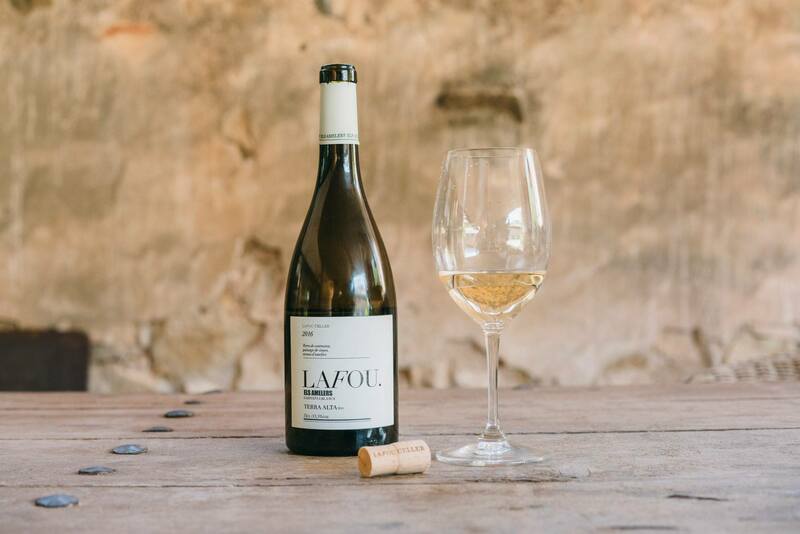 This wine is a pioneer in the style of White Garnacha, thanks to several processes which are carried out to extract the best qualities from each vineyard. In the youngest vineyards, LaFou harvests its grapes earlier to enhance acidity and get the best out of the primary fruit. The oldest vineyards are harvested when the fruit is at an advanced stage of ripeness. The grapes are taken to the winery and refrigerated immediately at 5ºC. The grapes then follow a linear process: they are placed in stainless-steel tanks to develop a young and lively core, then they are moved to concrete egg vats to enhance volume, acidity and pure varietal expressivity, while 10% of the wine is aged in oak barrels to enhance structure, elegance and the wine’s longevity. Fermentation and aging for 6 months on lees in concrete egg vats and stainless steel tanks. 10% of the wine is aged in 300L oak barrels. The name of the wine “Els Amelers” honors the almond trees that live alongside the vines in the vineyards in the Terra Alta region. Pale yellow and with a rich aromatic expression, in which the citrus and floral notes give way to nuances of ripe fruit and tender almond. In the mouth, it has a generous structure and a lively acidity, with a long finish.